Association for Consulting Expertise (ACE) - ACE Monthly Meeting - CANCELLED! ACE Monthly Meeting - CANCELLED! We have decided to cancel the August meeting. We hope to see you in September! Enjoy the rest of your summer! For those who have registered, please let Judi Jones know at judi@infoharbor.biz if you wish to be refunded or hold for another meeting. Stuff Consultants Need to Know! Employment laws in Maine can be complicated, confusing and, at times, counter-intuitive! Employers must comply with the requirements of a veritable alphabet soup of state and federal agencies, each with their own set of statutes, rules, regulations, administrative processes and case law interpretations. Even the best of intentions can lead to inadvertent violations of the law and possible liability. During this session, using case studies and stories, we’ll provide an overview of Maine employment law, review some frequent pitfalls and common “do’s and don’ts” that apply to employers small and large and consultants and discuss trends in the law. Matt Tarasevich is a shareholder at Bernstein Shur in Portland, Maine. He is the Practice Group leader of the firm’s Labor and Employment Practice Group, and a member of the firm’s Municipal and Litigation Groups. 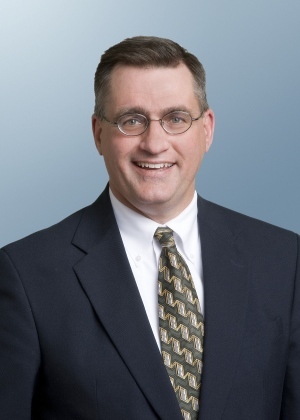 He provides employment law representation for clients in the Maine and federal courts, as well as at the administrative agency level, including the Maine Human Rights Commission and the Maine Labor Relations Board. Matt represents public sector clients on a variety of municipal labor and employment issues, including grievances, arbitrations and collective bargaining. He advises and counsels clients on a broad range of employment topics, drafts and reviews employee policies and agreements, and acts as a mediator and an investigator on personnel and employment related-issues. Matt is the co-chair of the Maine State Bar Association Municipal Law Section. He is recognized by Best Lawyers in America for employment law and is AV-rated (Preeminent) by Martindale-Hubbell. A resident of Portland, Maine, Matt earned his JD from Northeastern University School of Law and his BS from University of Rhode Island. Prior to attending law school, Matt was a commercial fisherman and owned and operated two draggers, and is currently the Vice-President of the Portland Fish Exchange. "Chaos theory and how to make it work for you: Chaotic and Fun!" Promising Futures focuses on helping companies select, develop, and retain good employees. We add precision to the process utilizing assessments and coaching. Registrations are required by Monday, August 11, 2014. If you want to be included on the registration list at the meeting then you need to register by the due date.